Andrew Erickson and Gabe Collins, “China SignPost™ ‘Greatest Hits’ #4: Macro and Strategic Assessments,” China SignPost™ (洞察中国) 76 (23 December 2013). Gabe Collins and Andrew Erickson, “China SignPost™ ‘Greatest Hits’ #3: Agricultural & Consumer Markets,” China SignPost™ (洞察中国) 75 (23 December 2013). 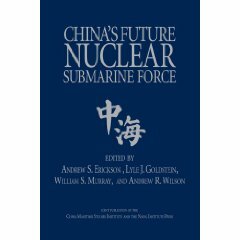 Gabe Collins and Andrew Erickson, “China SignPost™ ‘Greatest Hits’ #2: Military and Security Developments,” China SignPost™ (洞察中国) 74 (23 December 2013). Gabe Collins and Andrew Erickson, “China SignPost™ ‘Greatest Hits’ #1: Energy & Transportation,” China SignPost™ (洞察中国) 73 (23 December 2013). Gabe Collins and Andrew Erickson, “China Natural Gas Shortage Poised to Drive Record LNG Imports,” China SignPost™ (洞察中国) 72 (9 December 2013). China’s significant natural gas shortage will catalyze greater investment in pipelines, storage, and domestic drilling. Gabe Collins and Andrew Erickson, “Counting Cars: Rising Private Automobile Ownership in Chinese Cities Paves Road for Gasoline Demand,” China SignPost™ (洞察中国) 71 (24 June 2013). Gabe Collins and Andrew Erickson, “Playing with Fire, Round 2: North Korea’s Potential Missile Threat to Asian Oil Refining Infrastructure,” China SignPost™ (洞察中国) 70 (14 April 2013). China SignPost™ (洞察中国) #69–Elephant in the Room? Are mining companies on target as they look to India to help compensate for China’s lost commodity demand growth? Gabe Collins and Andrew Erickson, “Elephant in the Room? Are mining companies on target as they look to India to help compensate for China’s lost commodity demand growth?” China SignPost™ (洞察中国) 69 (23 December 2012). Gabe Collins and Andrew Erickson, “China Military Jet Engine Development Overview: An eReader,” China SignPost™ (洞察中国) 68 (19 December 2012). Gabe Collins and Andrew Erickson, “Central and Southwest China: The Key Battleground for Shale Gas and New Low-Cost Coal Supplies from Xinjiang, Mongolia, and Wyoming,” China SignPost™ (洞察中国) 67 (28 September 2012). Gabe Collins and Andrew Erickson, “Kings of Coal to Barons of Bling? Xinjiang’s Coal Boom Will Drive Sales of Bentleys, BMWs, and Other ‘Bling’,” China SignPost™ (洞察中国), No. 66 (21 September 2012). Gabe Collins and Andrew Erickson, “Xinjiang Poised to Become China’s Largest Coal Producer: Will Move Global Coal, Natural Gas, and Crude Oil Markets,” China SignPost™ (洞察中国) 65 (20 September 2012). 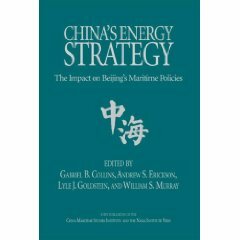 Gabe Collins and Andrew Erickson, “Wyoming and Montana Could Become Major New Coal Suppliers to China and the Asian Market—If They Can Obtain Port Access,” China SignPost™ (洞察中国) 64 (4 September 2012). Gabe Collins and Andrew Erickson, “North-Central China Offers Massive Market Opportunity for Mongolian Coal Miners,” China SignPost™ (洞察中国) 63 (21 August 2012). 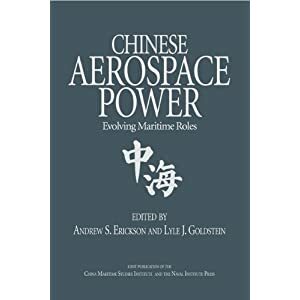 Andrew Erickson and Gabe Collins, “Spaceplane Development Becomes a New Dimension of Emerging U.S.-China Space Competition,” China SignPost™ (洞察中国), No. 62 (16 August 2012). Gabe Collins and Andrew Erickson, “Can Inland Consumption Soften Coastal Industrial Slump? China’s Weak Earthmover Sales and Poor Coal Demand Point to More Economic Turbulence, But Second and Third Tier Property Markets Show Flashes of Life,” China SignPost™ (洞察中国) 61 (14 August 2012). Gabe Collins and Andrew Erickson, “Downturn to ‘New Normal’? China’s Consumer Economy is Rolling Over and Sales of Chicken, Cars, and Shoes Are Taking a Hit,” China SignPost™ (洞察中国), No. 60 (1 August 2012). 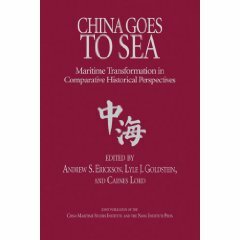 Andrew Erickson and Gabe Collins, “China’s Rising Seaborne Food and Fuel Imports: Propelling Naval Expansion?” China SignPost™ (洞察中国), No. 59 (12 May 2012). Andrew Erickson and Gabe Collins, “Shenlong ‘Divine Dragon’ Takes Flight: Is China developing its first spaceplane?” China SignPost™ (洞察中国), No. 58 (4 May 2012).